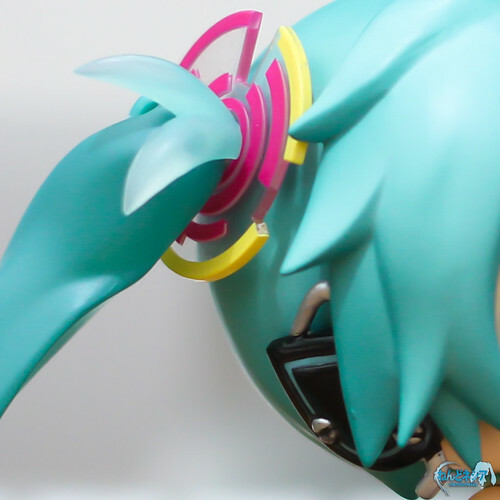 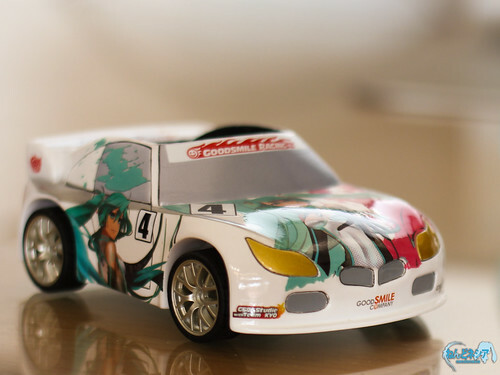 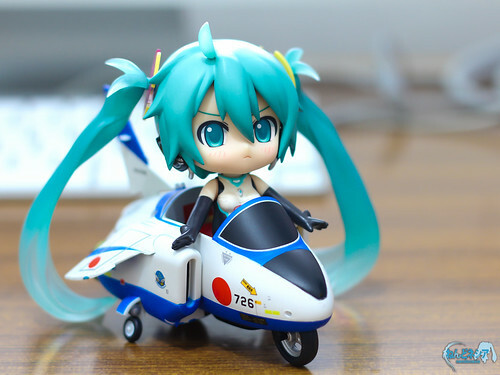 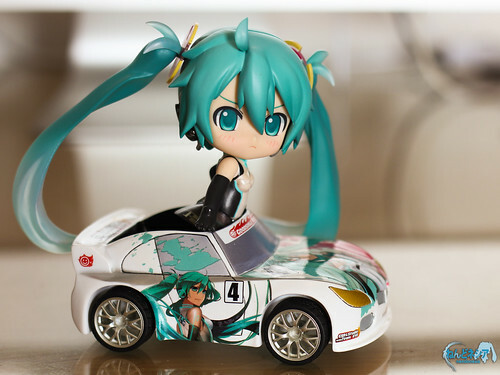 Since 2009, Good Smile Company (GSC) and its racing team Good Smile Racing (GSR) have been annually releasing a racing-themed Hatsune Miku, including its Nendoroid version. 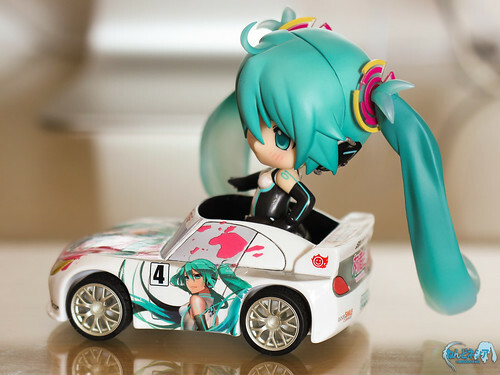 Last year, Nendoroid Racing Miku: 2011 version was released on October bearing a brand new design for Miku’s racing queen outfit, which was somehow seen as controversial for some fans of the virtual diva. 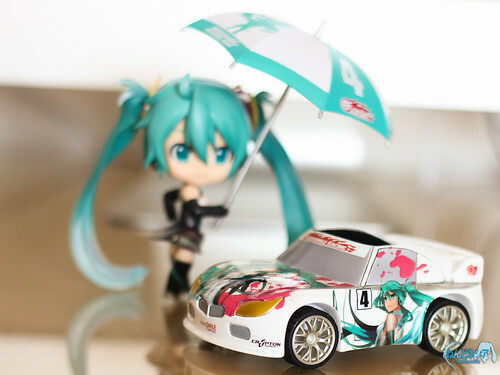 Miku: So … is this the right way to ride the itasha? 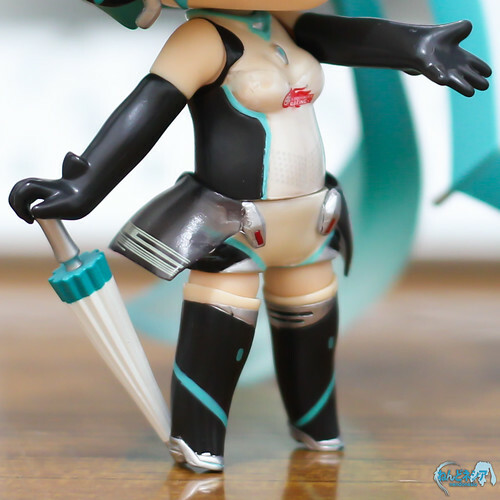 Prior to this review, I have already taken the Nendoroid to many places and took many photos of her in various pose as well as swapping faces with other Nendoroid. 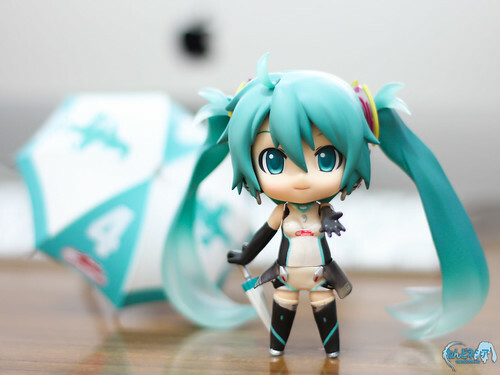 Wearing glasses - how does she look? 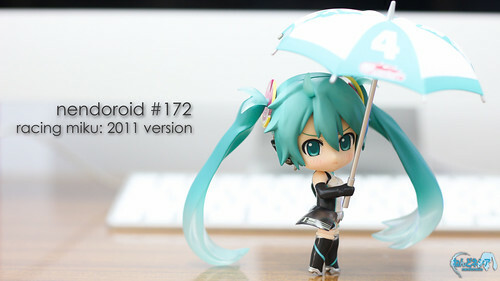 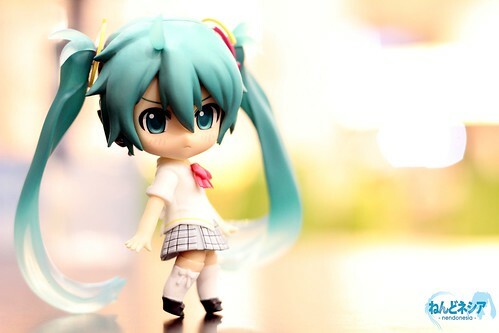 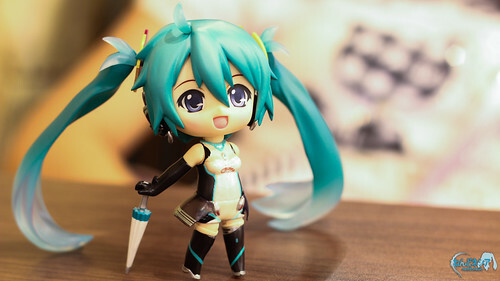 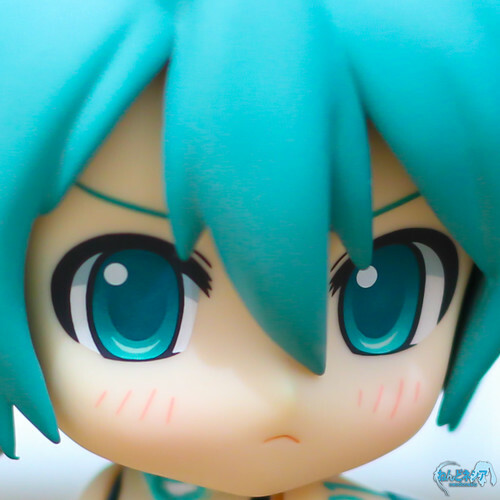 Well then, here is my score for Nendoroid Racing Miku: 2011 version. 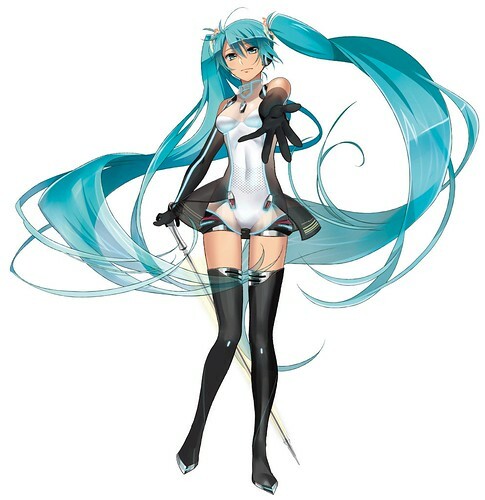 Design: 9 / 10 – Her outfit design and translucent hair look beautiful! 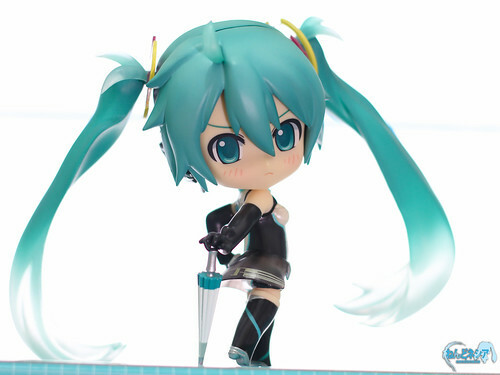 Expression: 7 / 10 – Her tsundere face is simply amazing, but the selection of faceplates is disappointing. 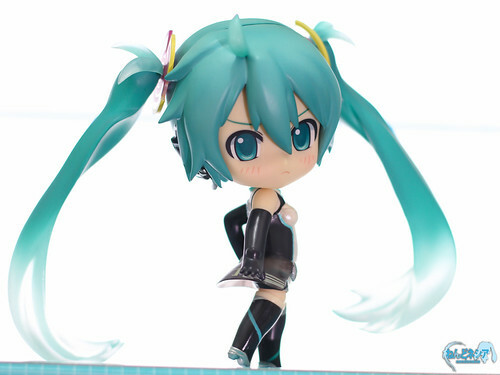 Playability: 9 / 10 – As with other version of Nendoroid Hatsune Miku, her twintails make it easy for her to stand without the standbase. 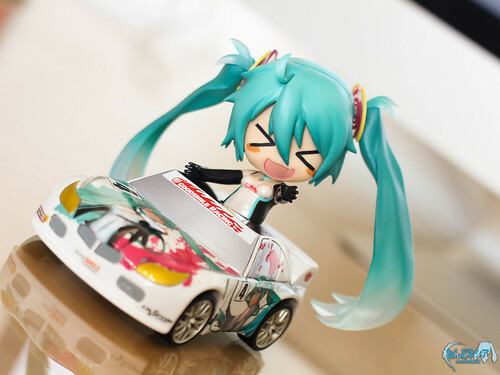 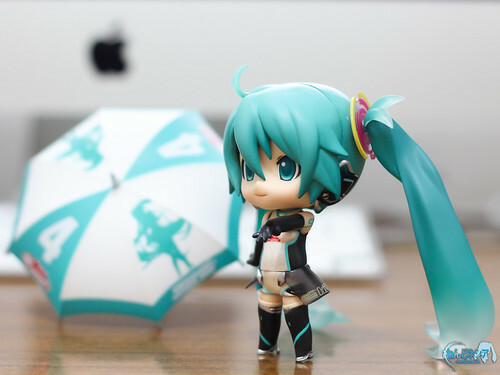 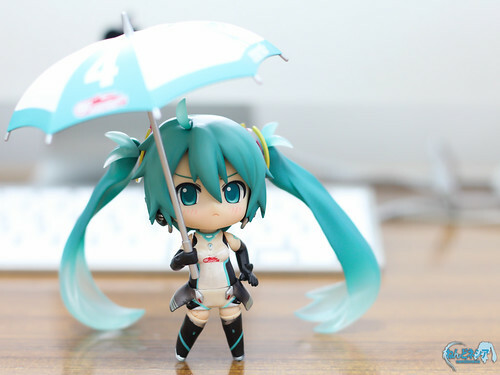 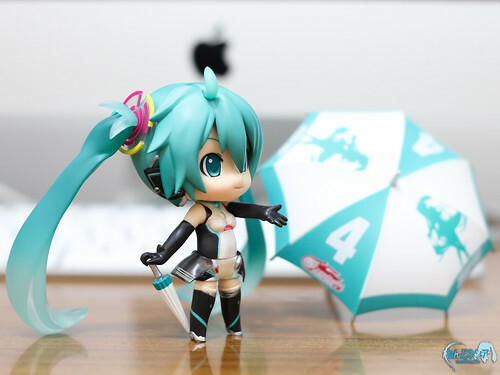 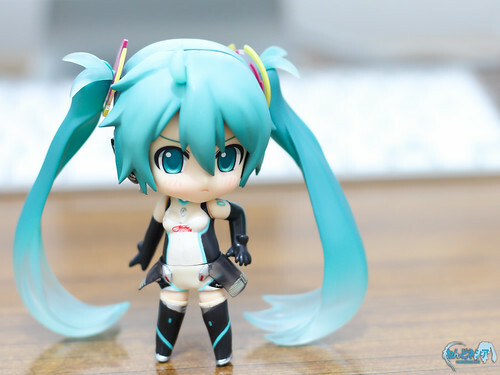 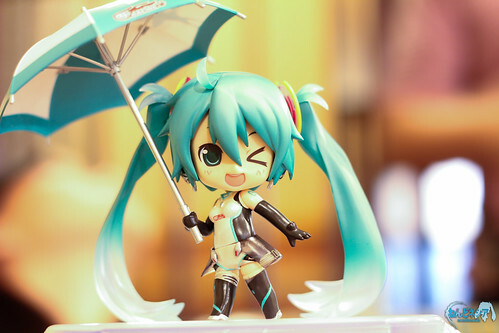 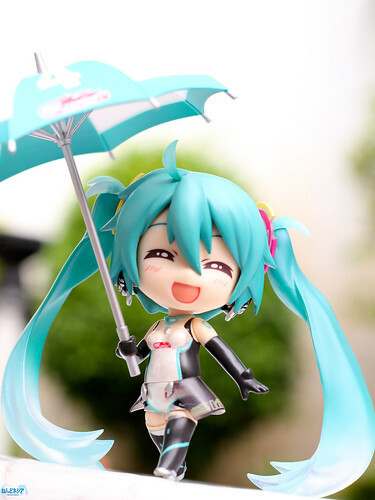 Price: 5 / 10 – Similar to previous version of Nendoroid Racing Miku, her price are rather expensive due to the limited-exclusive nature and personal sponsor stuff. 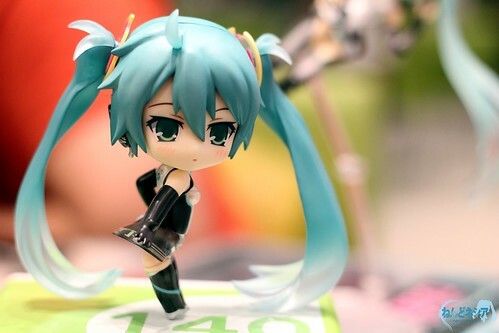 W-w-why do you keep staring at me? 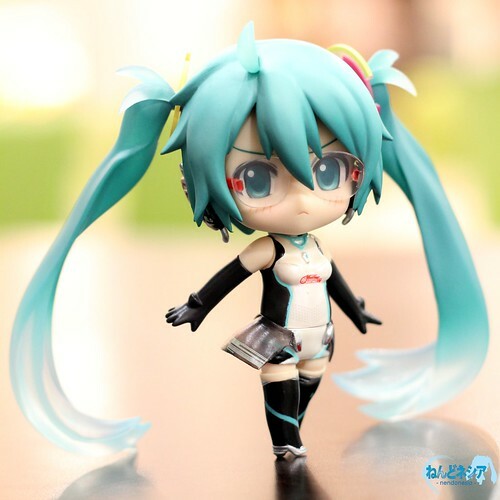 Well, I think that is about all of my review. 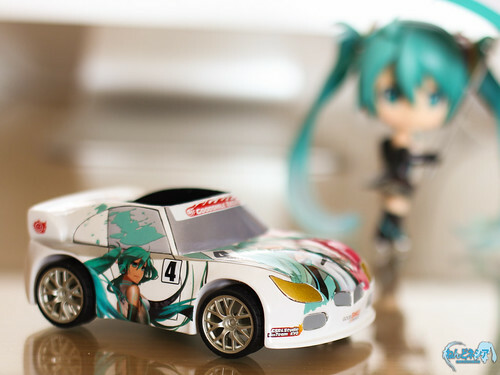 This entry was posted in Review and tagged good smile racing, hatsune miku, nendoroid, racing miku, vocaloid. 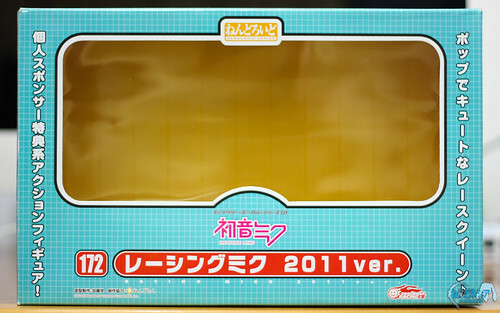 ← Nendoroid Super Sonico: Tiger Parka version’s Prototype is Completed; Box Revealed! 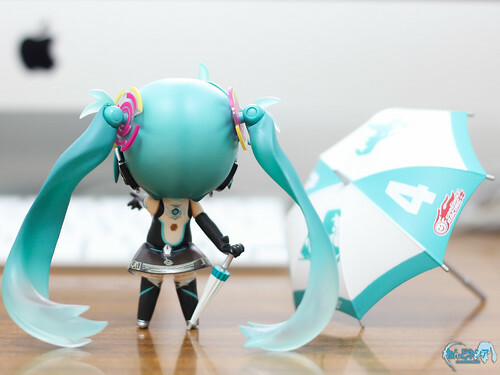 A re-sale chance is next to nil. 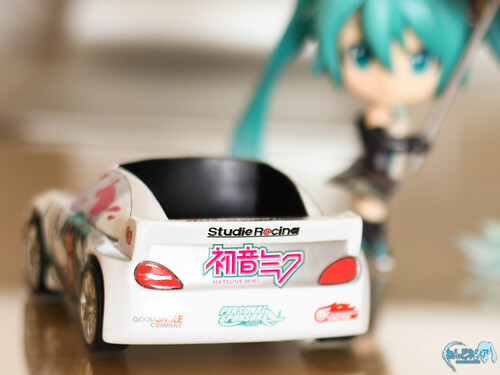 Racing Miku is a fundraiser for Good Smile Racing, just as Cheerful Japan items was to disaster relief. 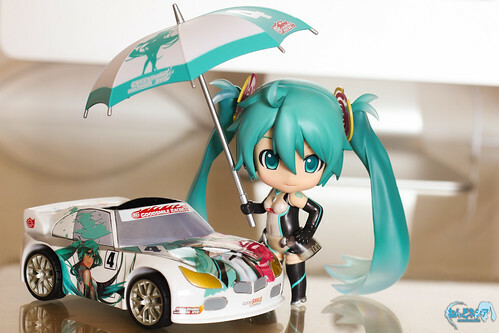 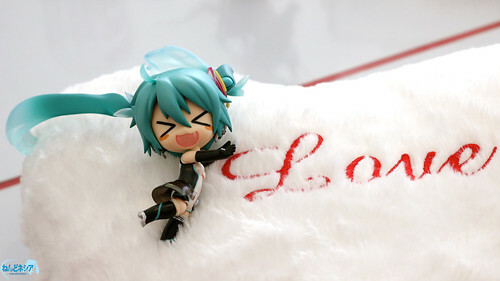 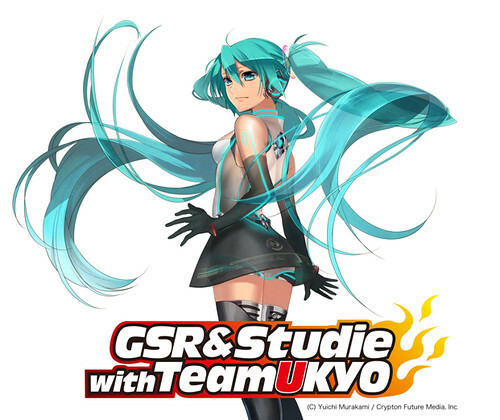 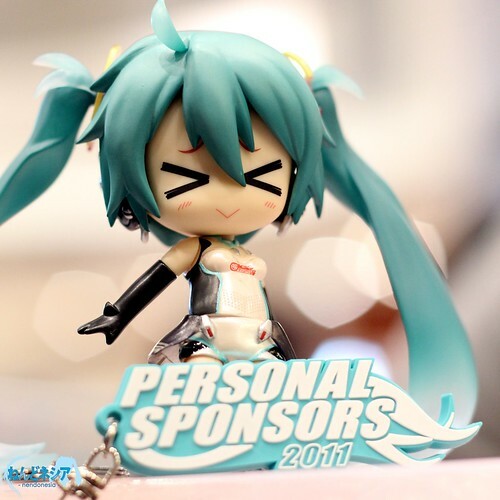 The 2012 Racing Miku sponsorship is/was open to international donors though.